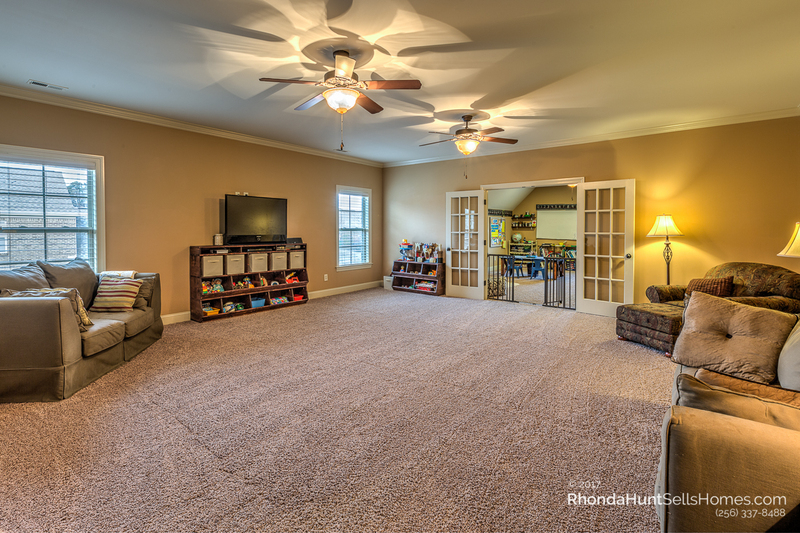 This custom dream home is conveniently located in Magnolia Springs neighborhood on a quiet road that ends in a cul-de-sac. 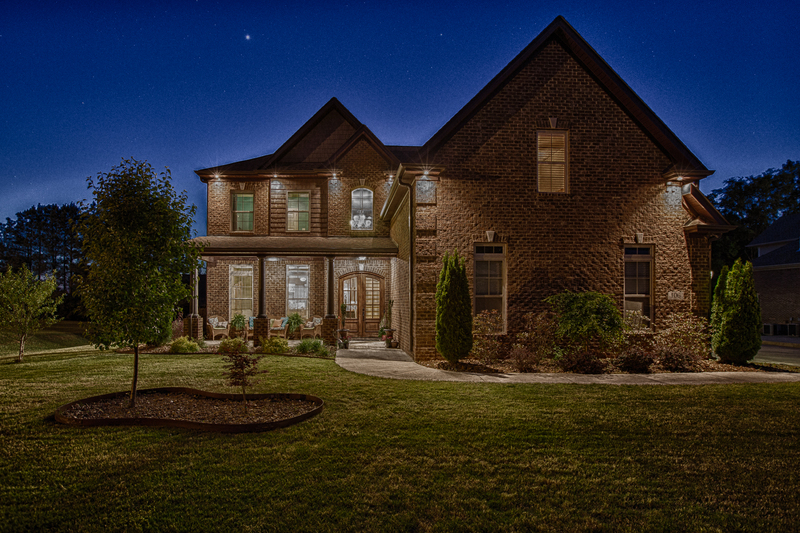 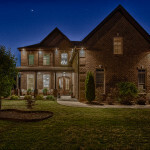 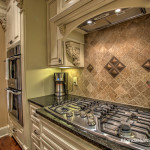 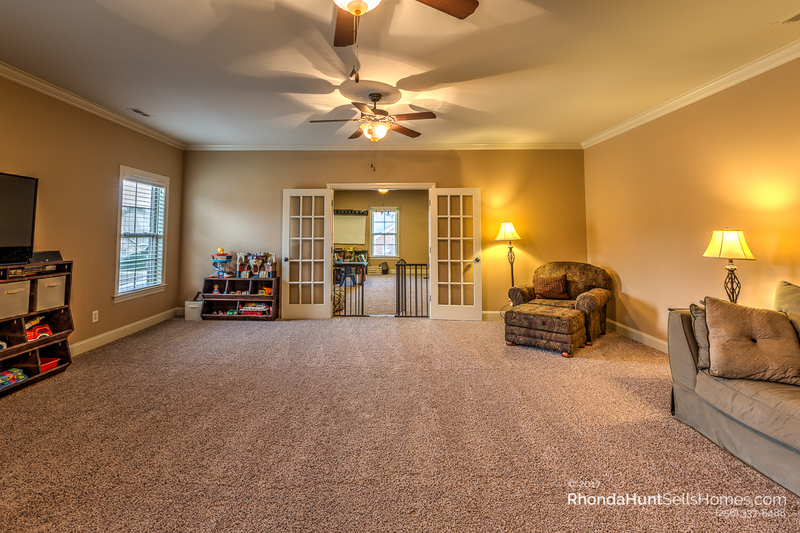 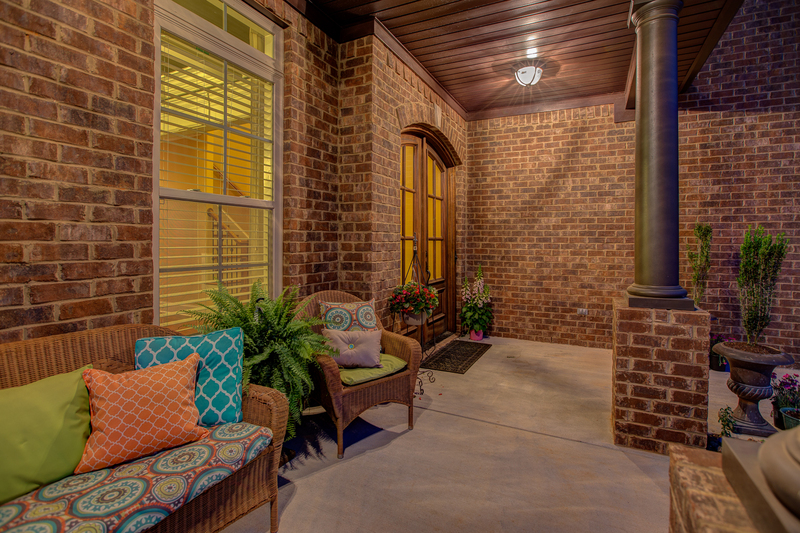 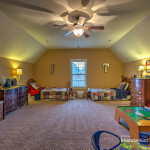 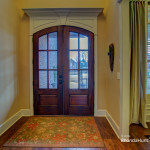 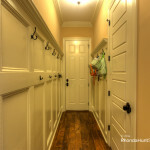 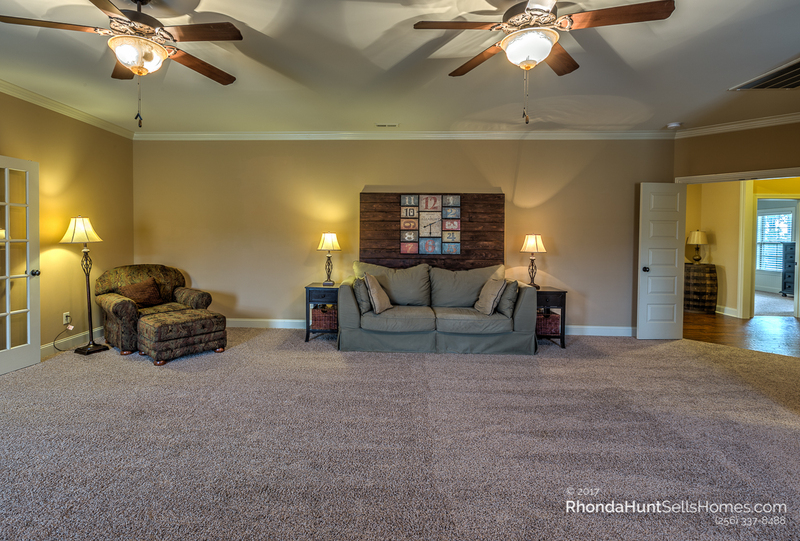 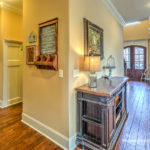 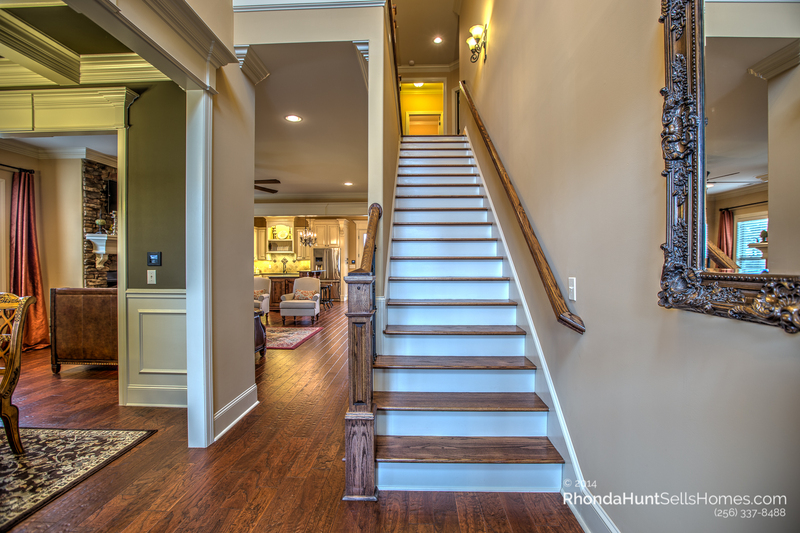 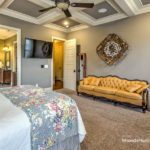 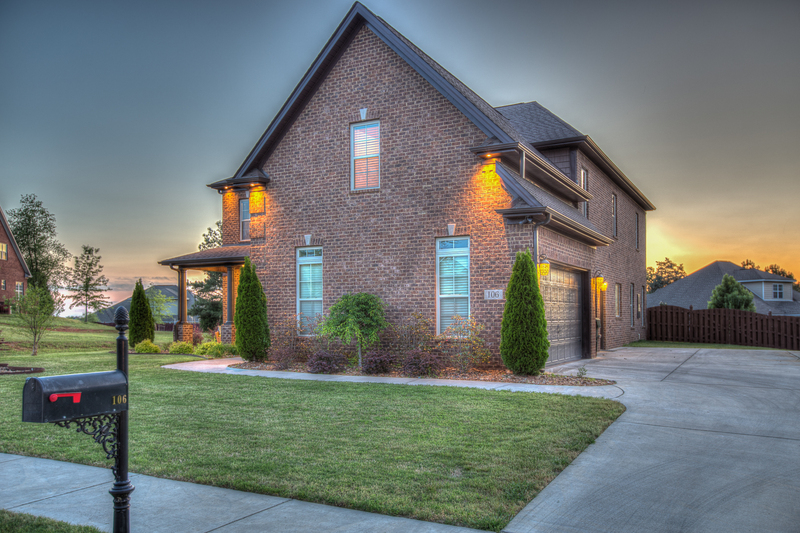 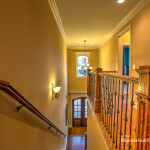 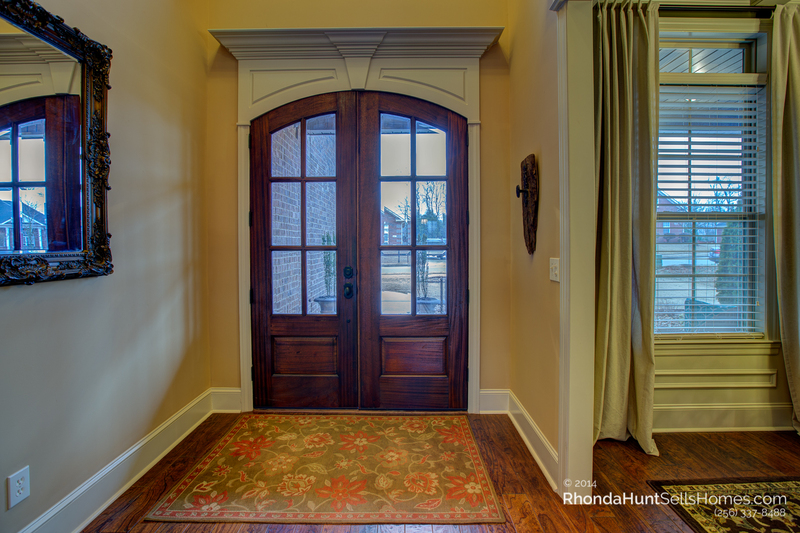 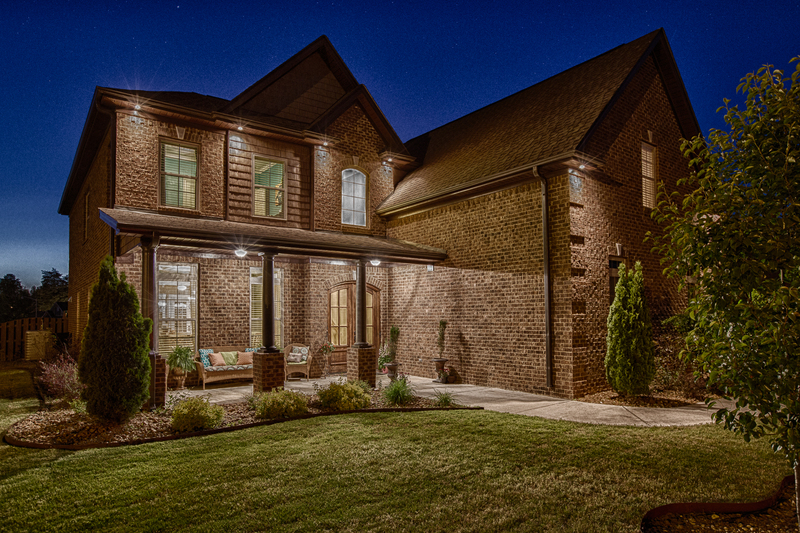 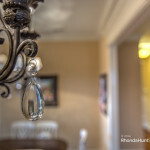 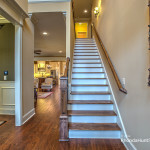 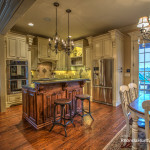 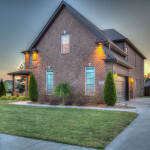 When you think of a luxury home you expect all the amenities and attention is in every detail. 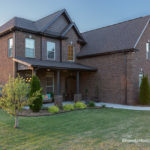 This home fits the bill! 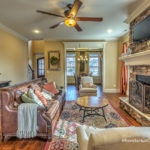 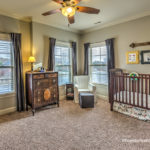 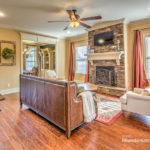 When you enter you’ll find the open floor plan with hand-scraped hardwood floors that flow through the main living area, where 10′ ceilings add to the spacious feel. 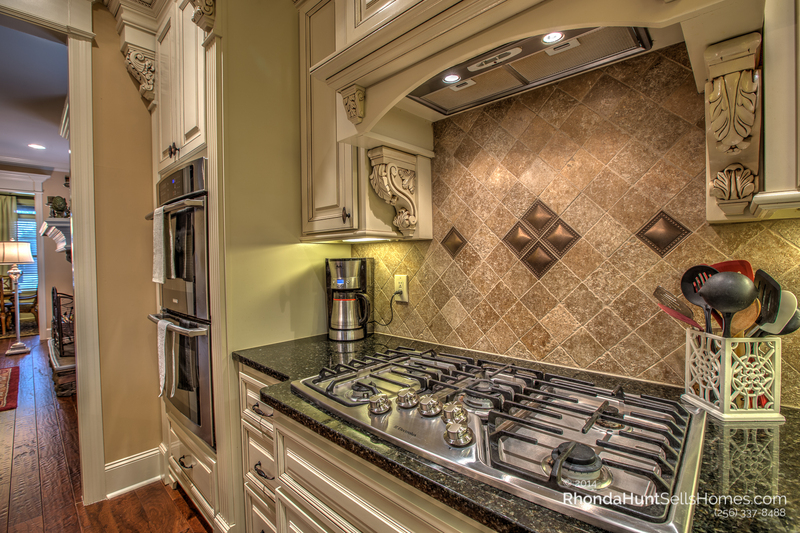 The kitchen is a chef’s dream, where you’ll find stainless steel Electrolux appliances, a 5-burner gas stove top, a double convection oven, and granite counter-tops over beautiful, architecturally-rich custom cabinets. 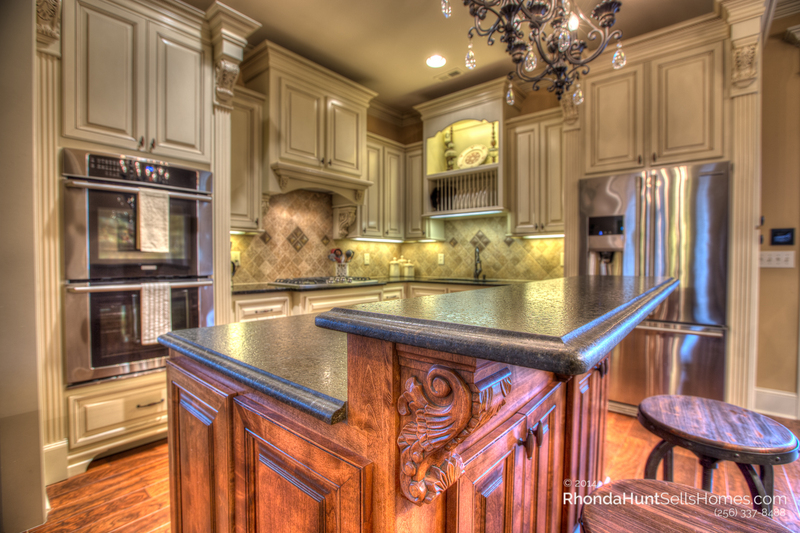 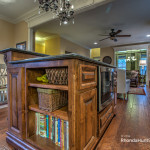 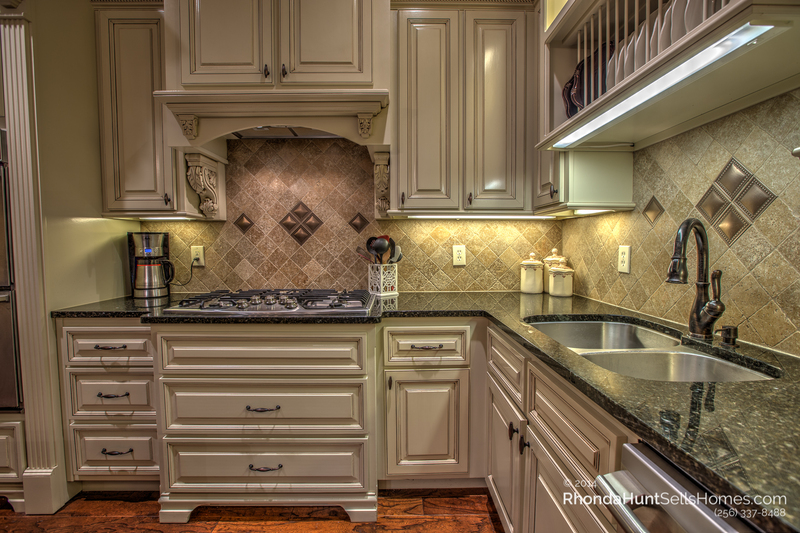 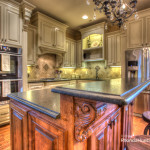 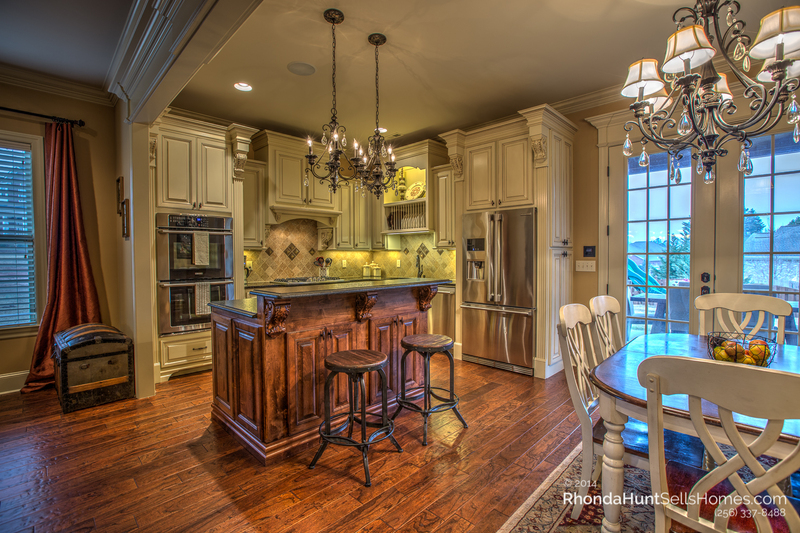 The island features plenty of storage, a granite leather top and 2 chandeliers for plenty of lighting. 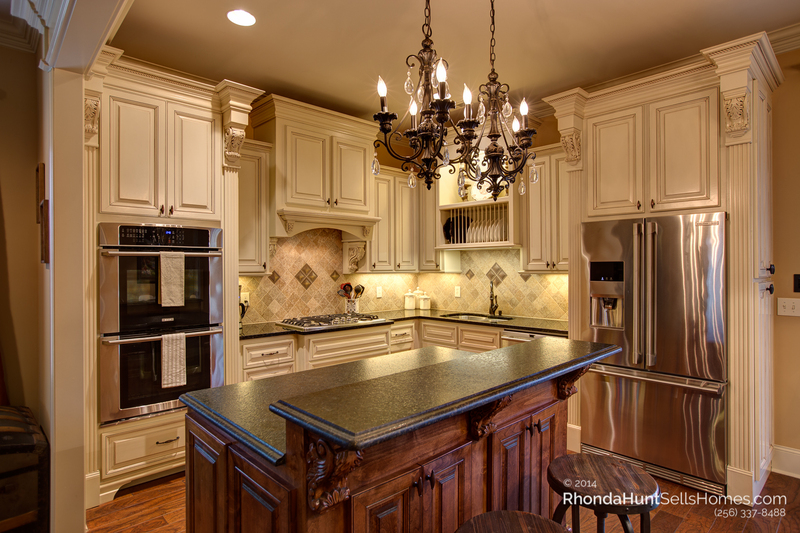 The gorgeous matching refrigerator remains with the home. 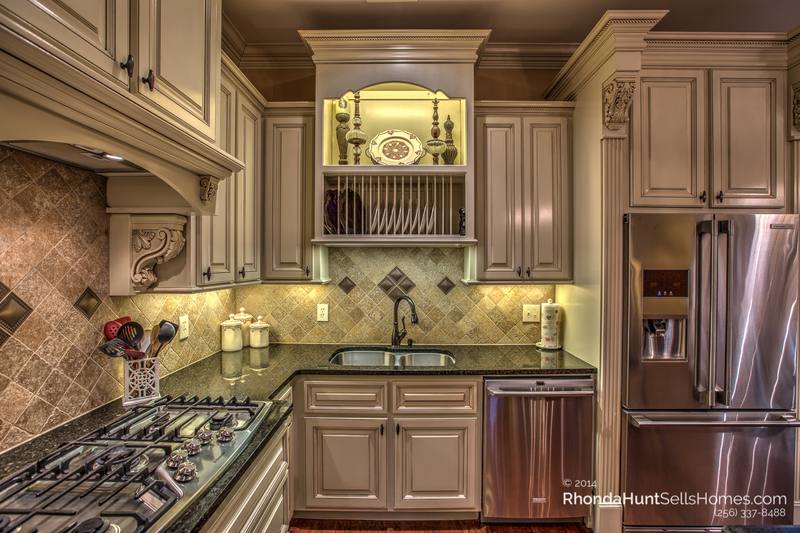 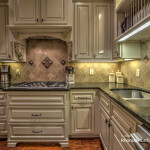 There’s a 60/40 stainless steel sink and large spice pantry built into the cabinets. 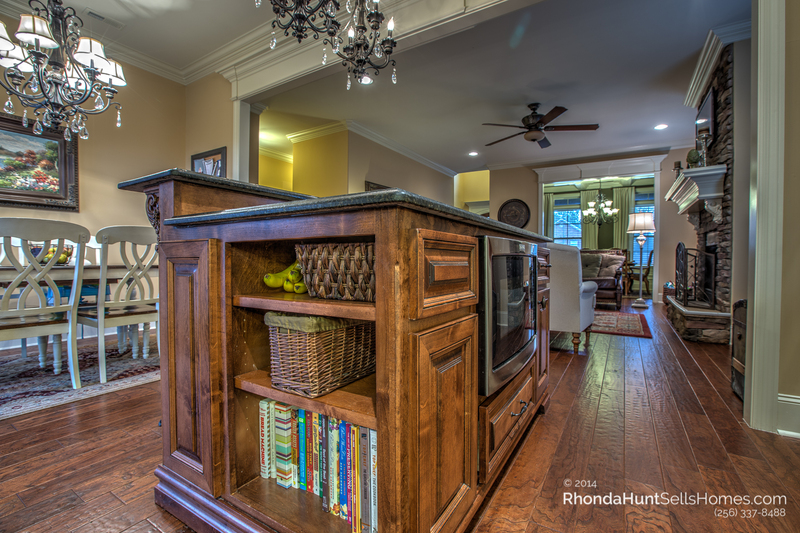 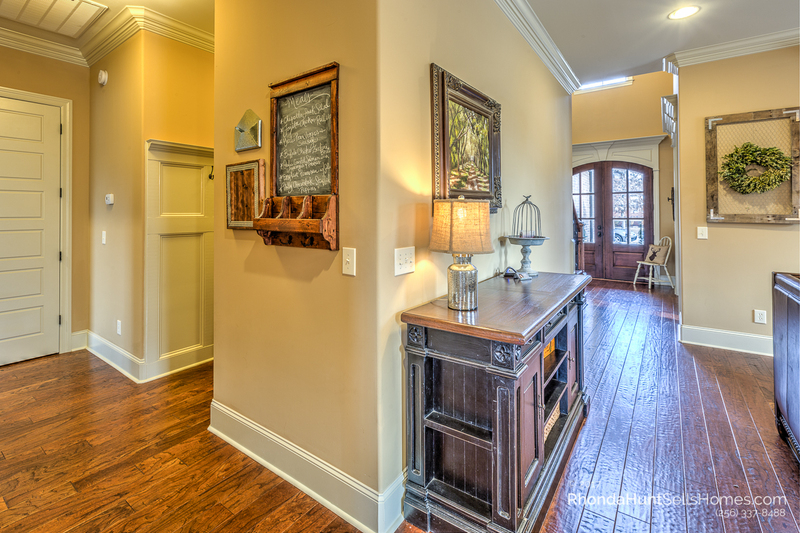 Off the kitchen dining area is a beautiful walk-in pantry room with hardwood floors and plenty of shelving and light. 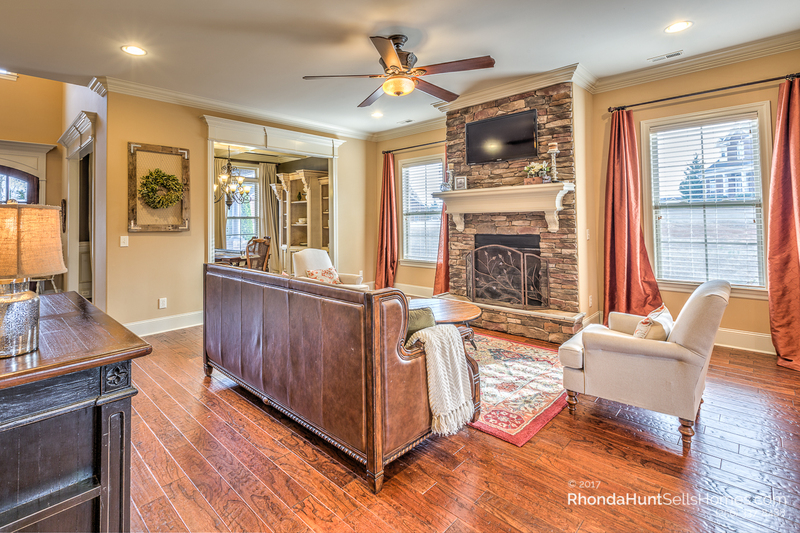 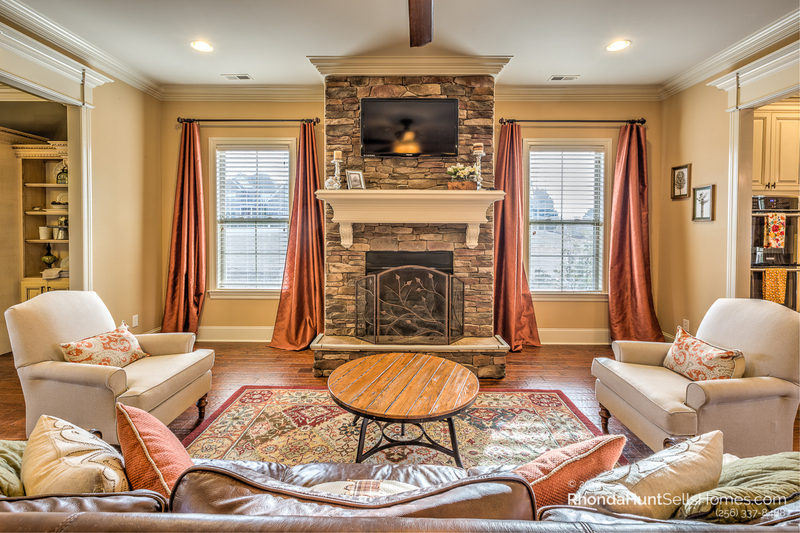 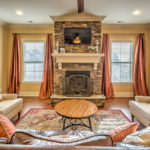 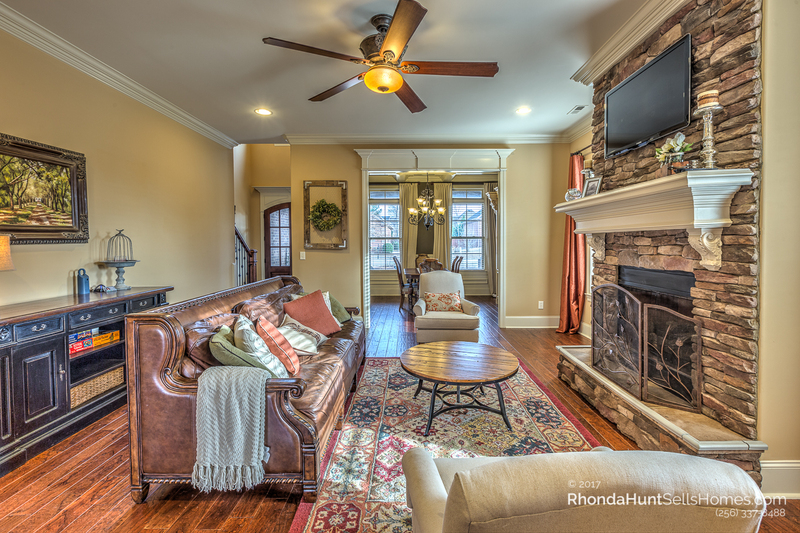 The living room features a stone wall mantle with gas fireplace flanked by windows. 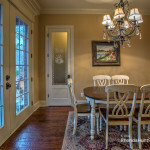 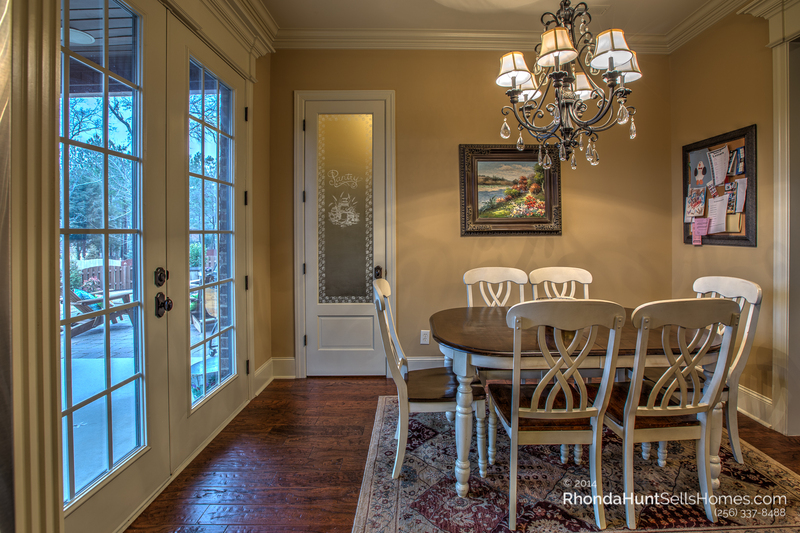 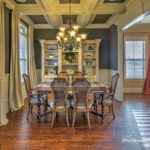 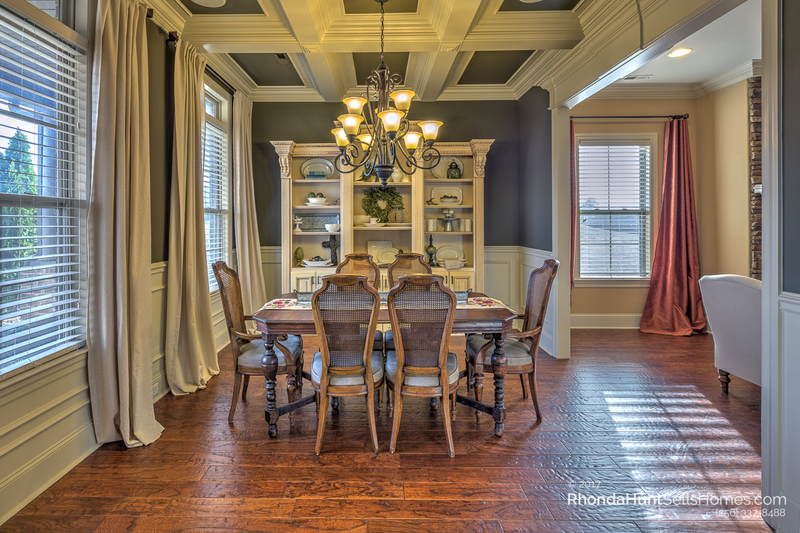 The gorgeous dining room features coffered ceilings. 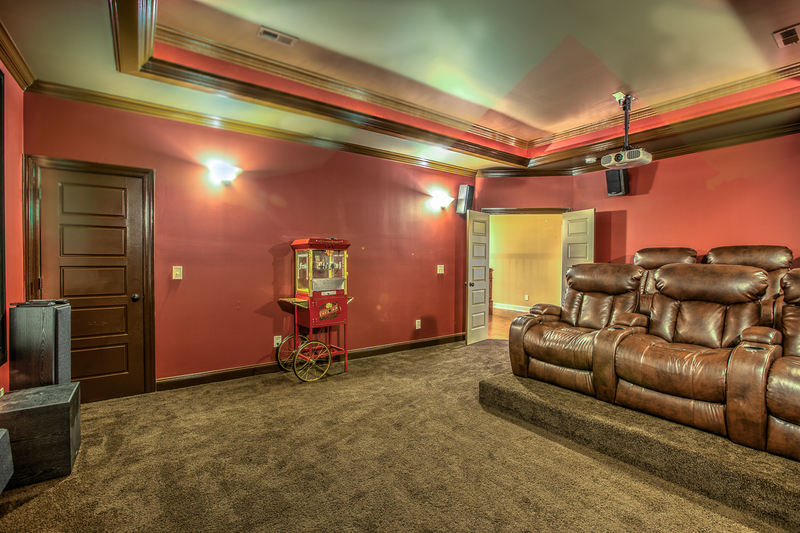 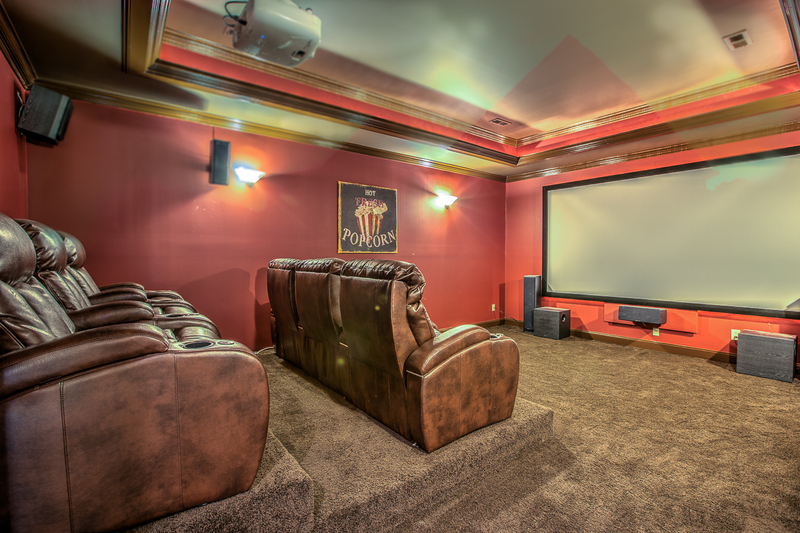 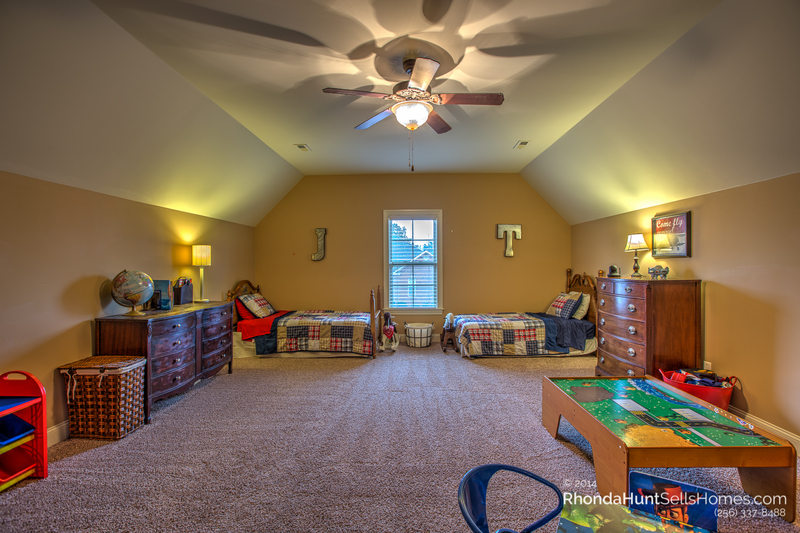 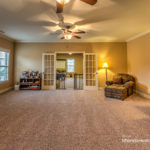 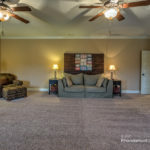 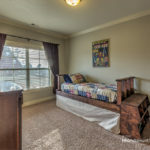 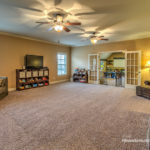 This home has 5 bedrooms as well as specialty rooms that could be converted into bedrooms (home theater room and large bonus room.) 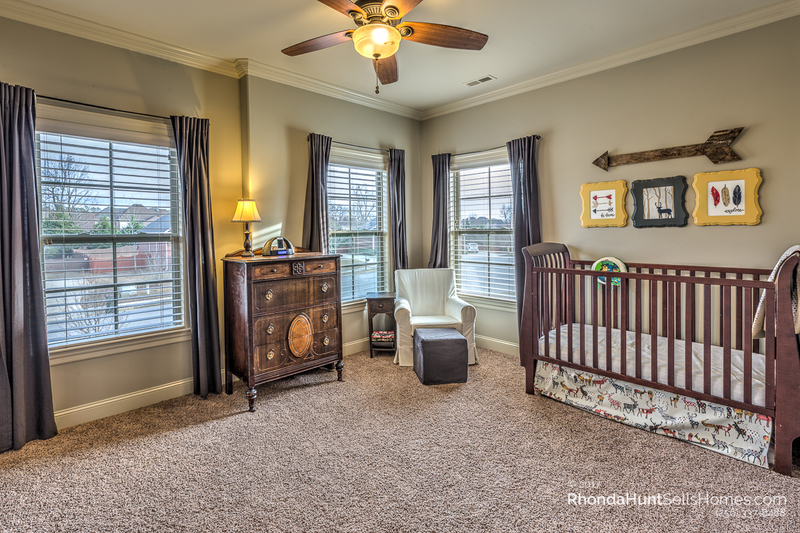 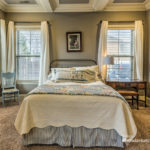 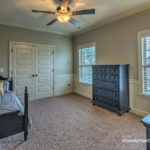 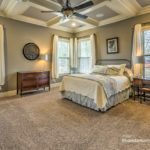 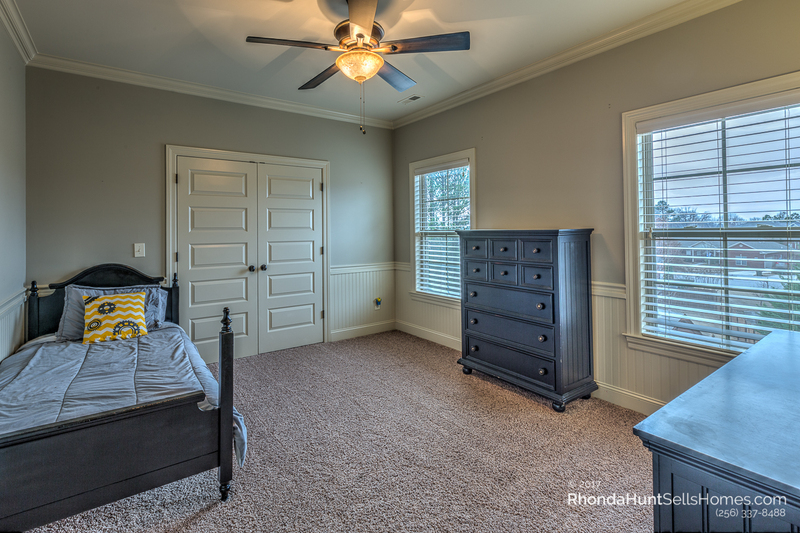 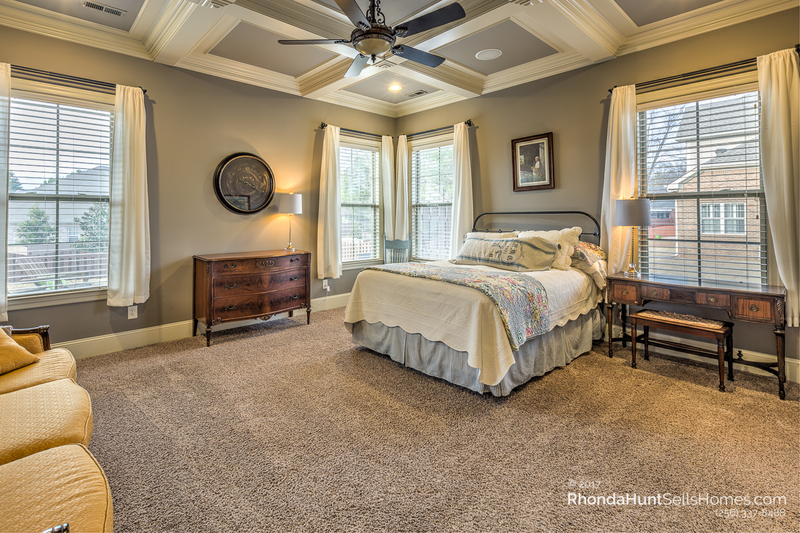 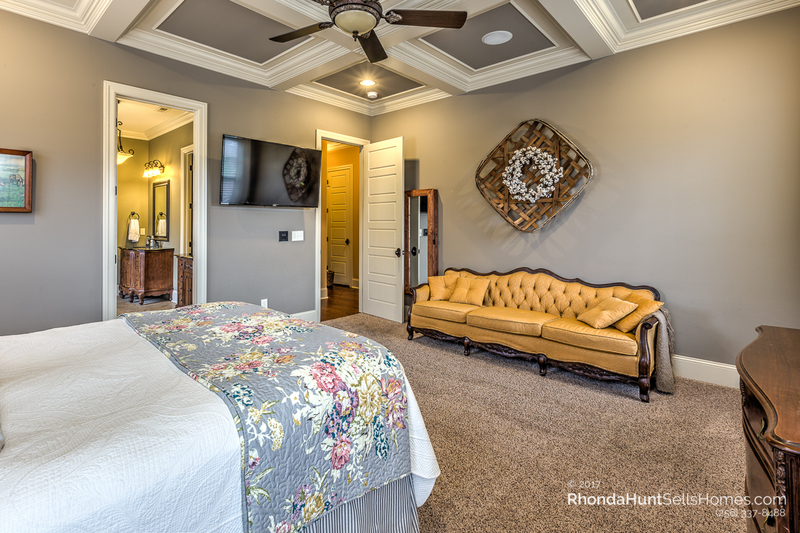 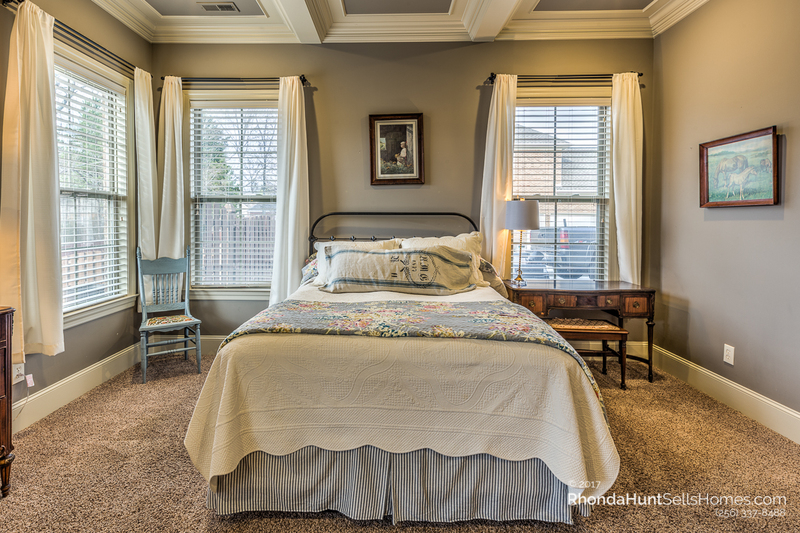 The extra large master bedroom has coffered ceilings. 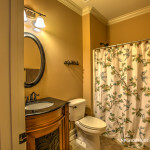 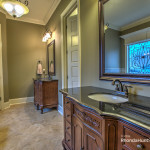 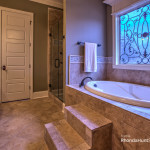 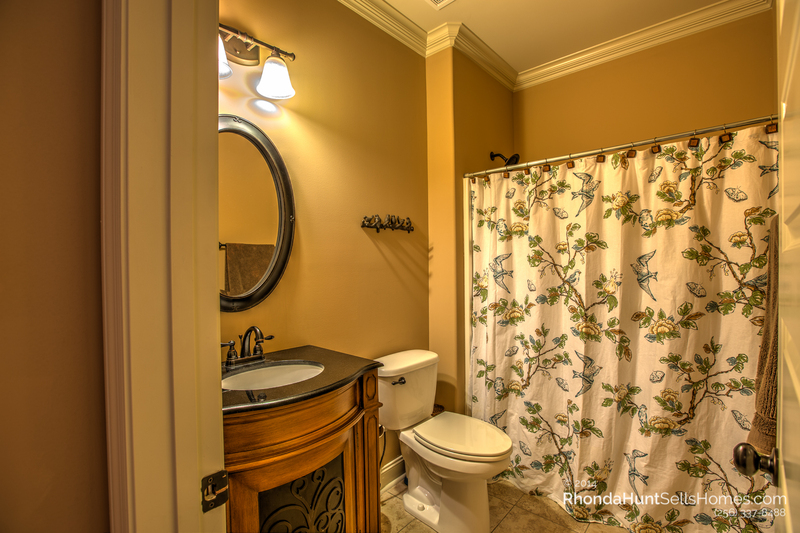 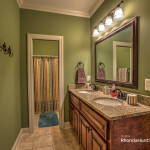 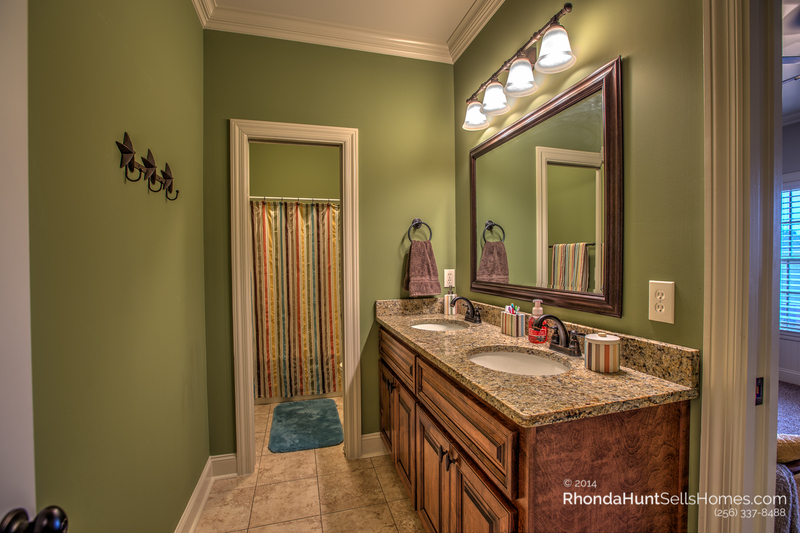 The master bath features granite, Rainhead shower with jets, and tile flooring. 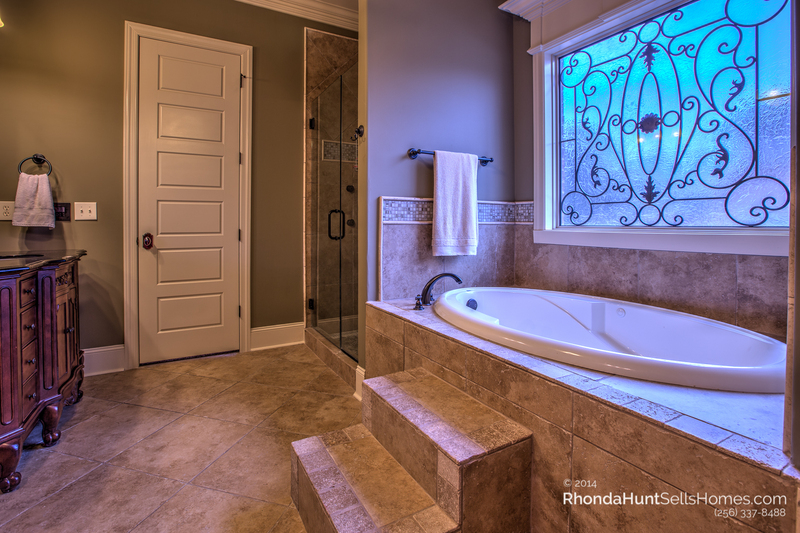 The 3.5 baths all feature granite countertops and luxury lighting fixtures. 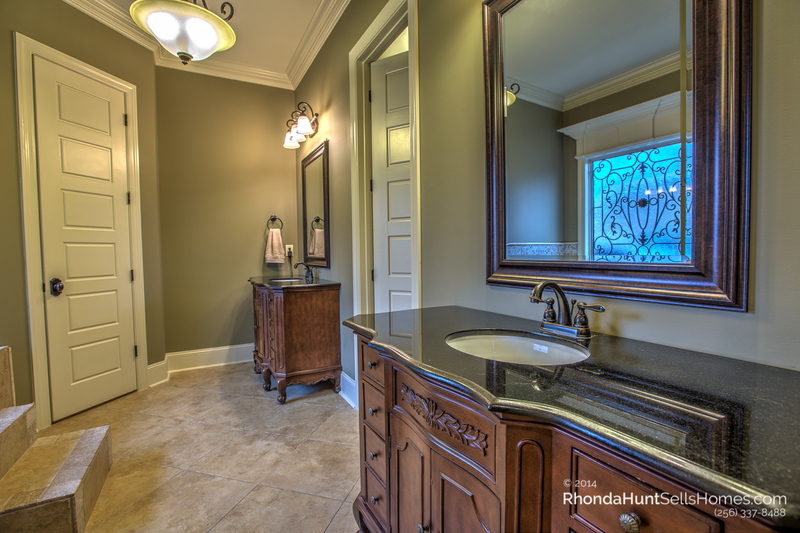 A tankless water heater ensures you have hot water quickly and efficiently. 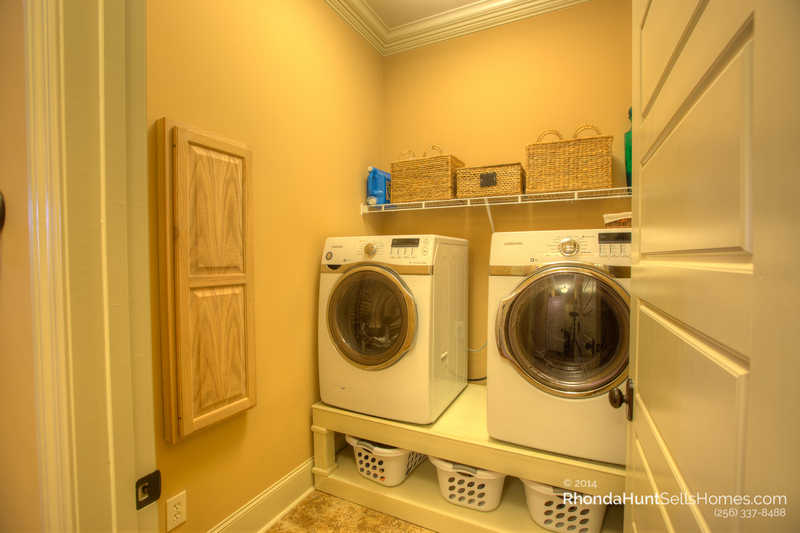 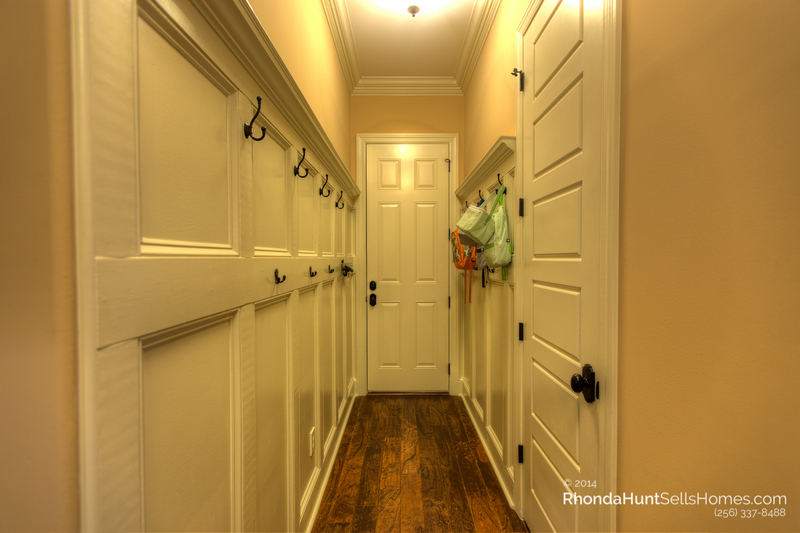 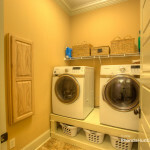 For added convenience, there are two laundry rooms (one up, one down). 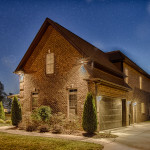 The three oversized three car garage faces the side of the house. 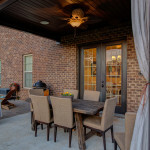 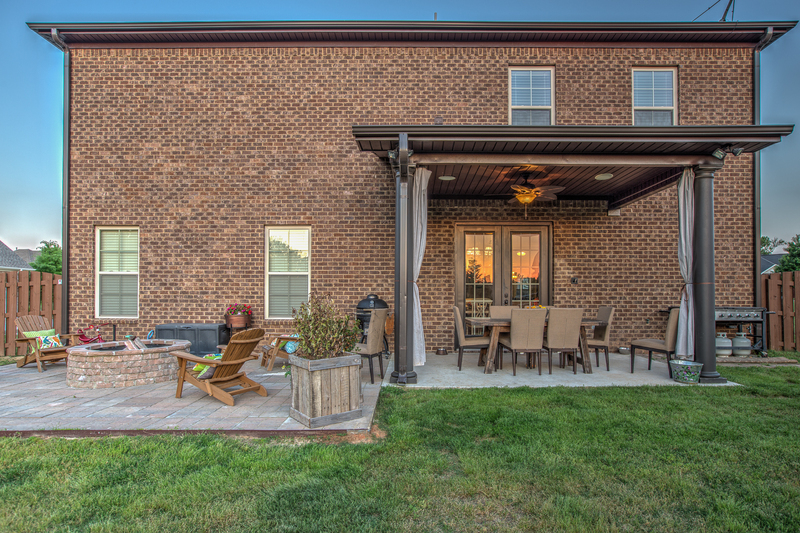 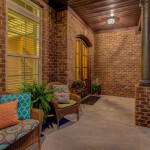 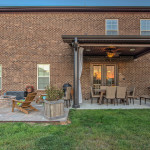 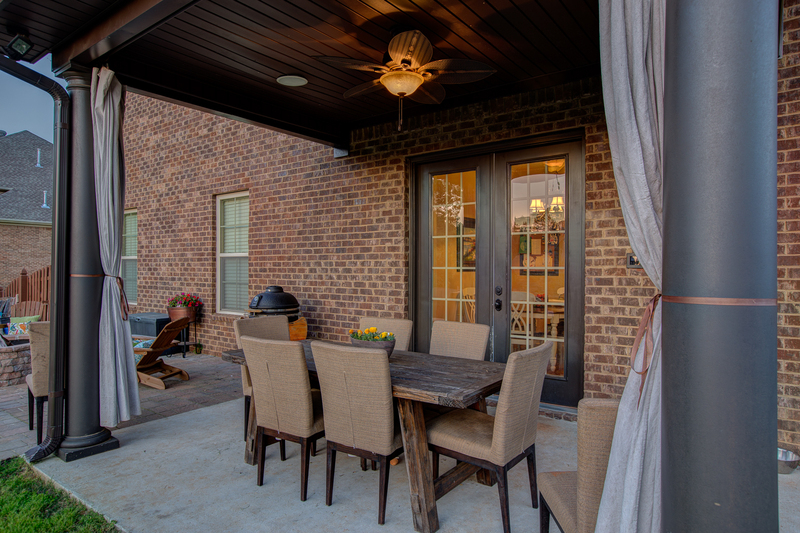 A covered patio off breakfast room has an adjacent open patio with fire pit in the fenced in backyard. 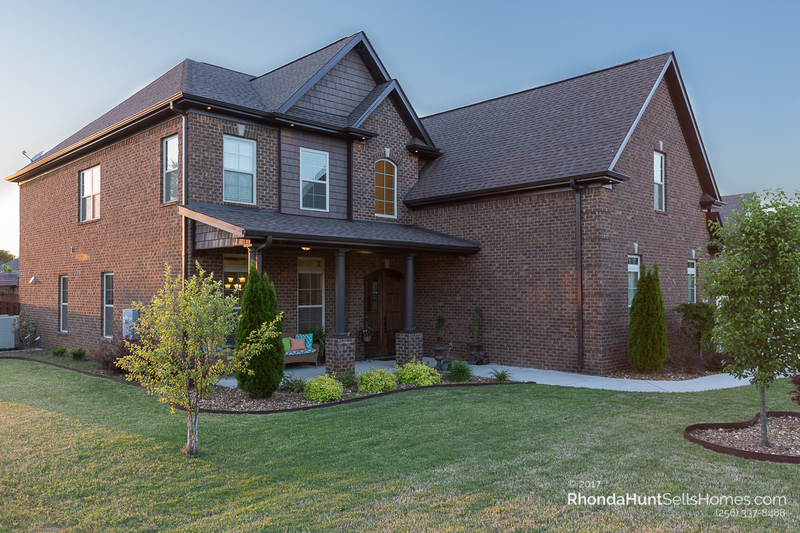 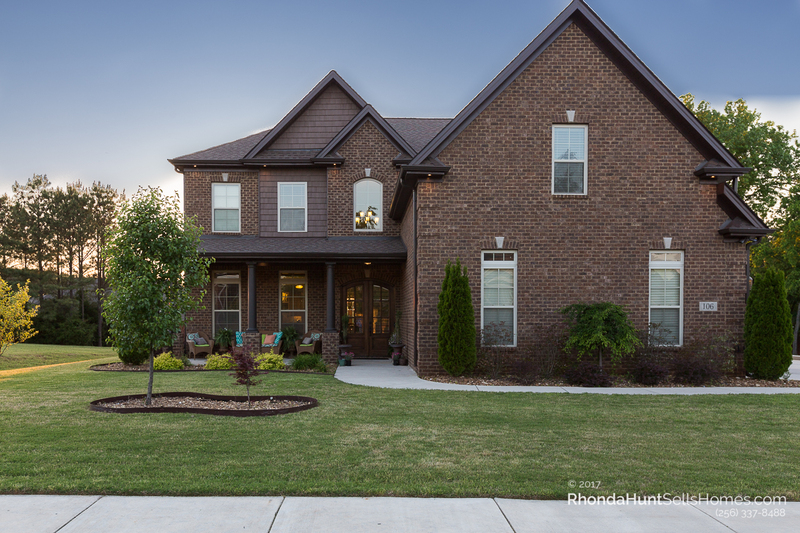 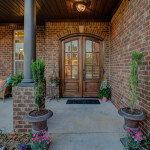 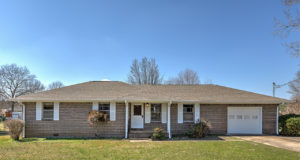 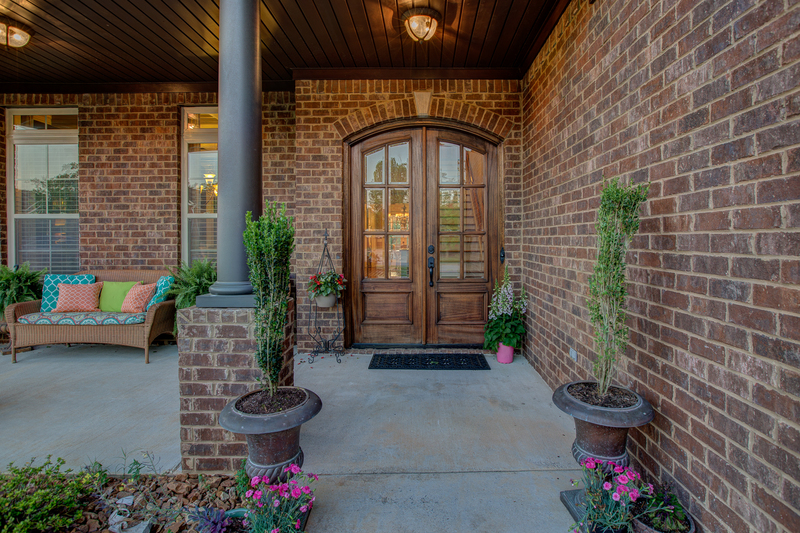 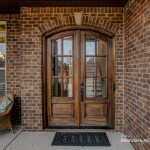 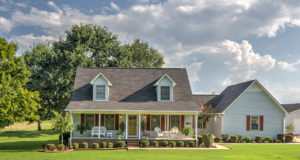 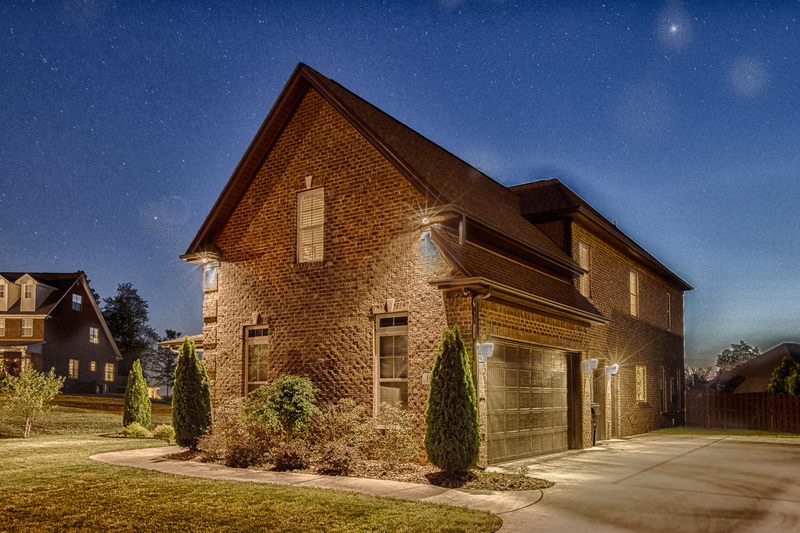 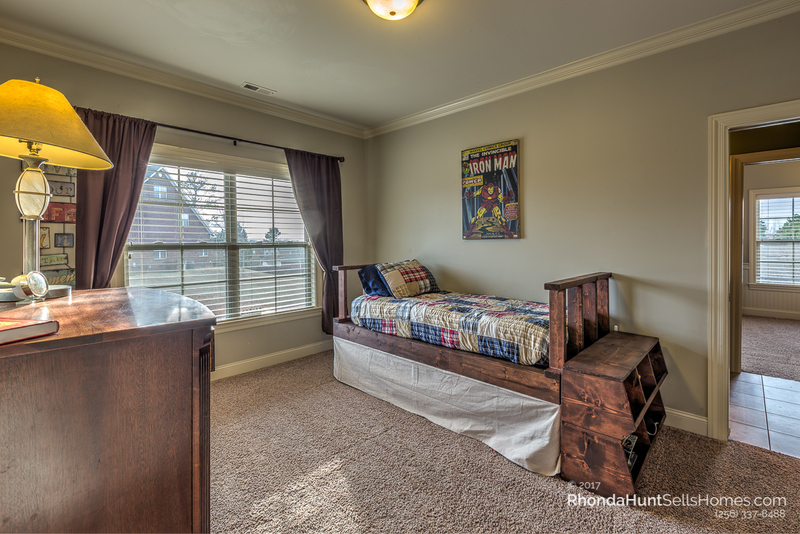 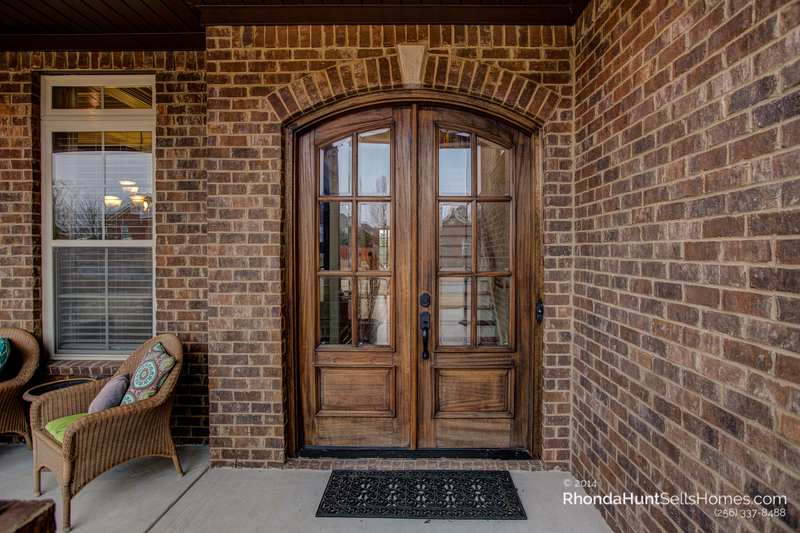 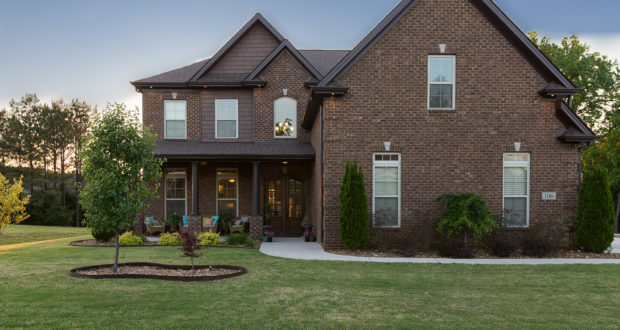 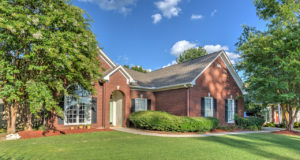 This approximately 4,404 square foot beauty is priced to sell quickly. 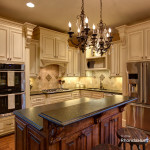 Island feature leather granite top. 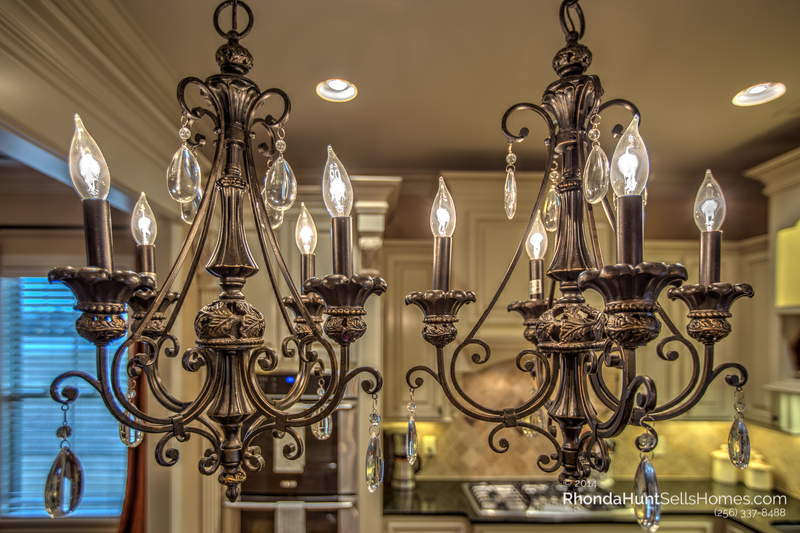 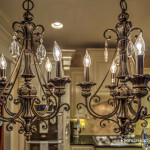 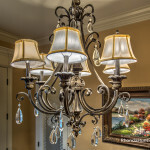 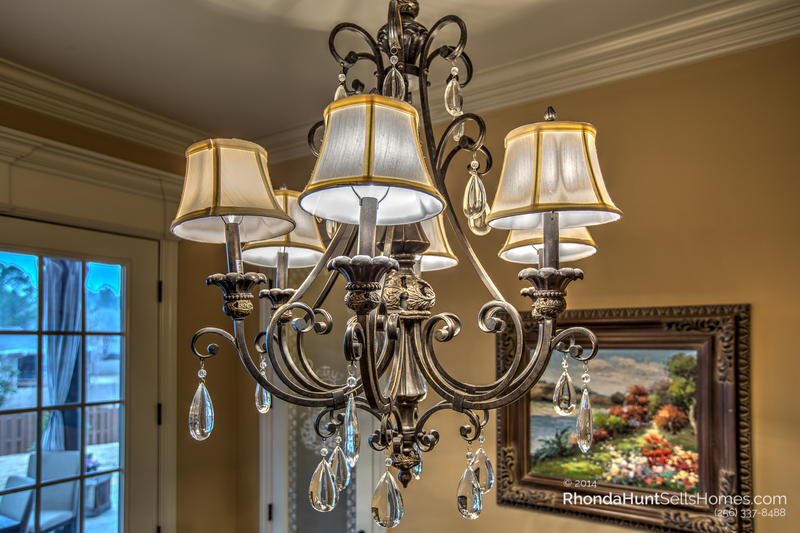 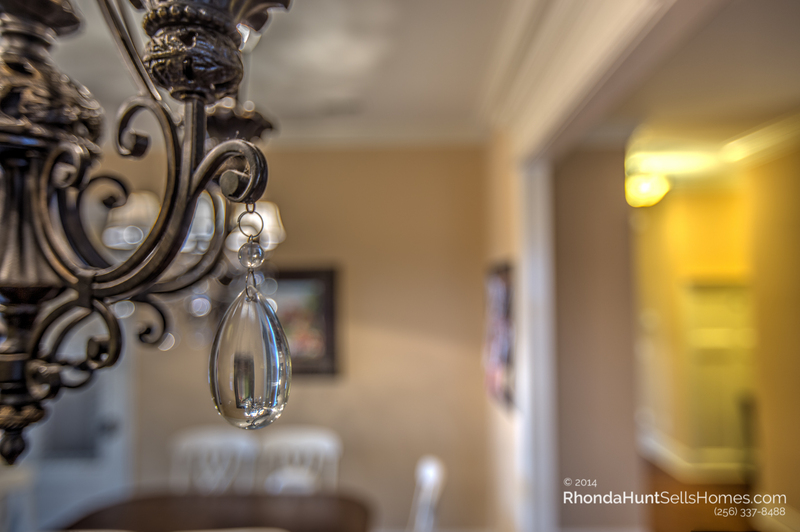 Double chandeliers over kitchen island. 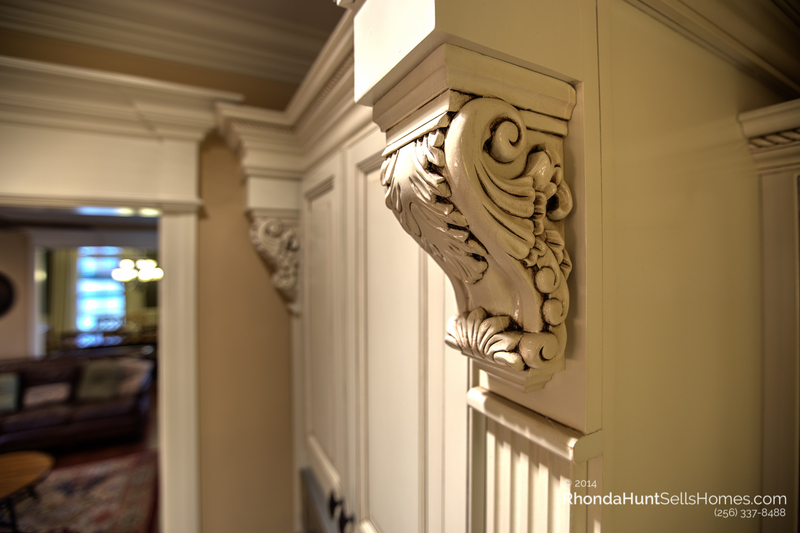 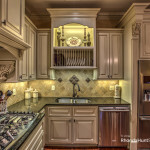 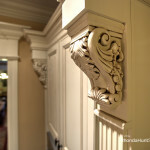 Architectural detailing in custom cabinets. 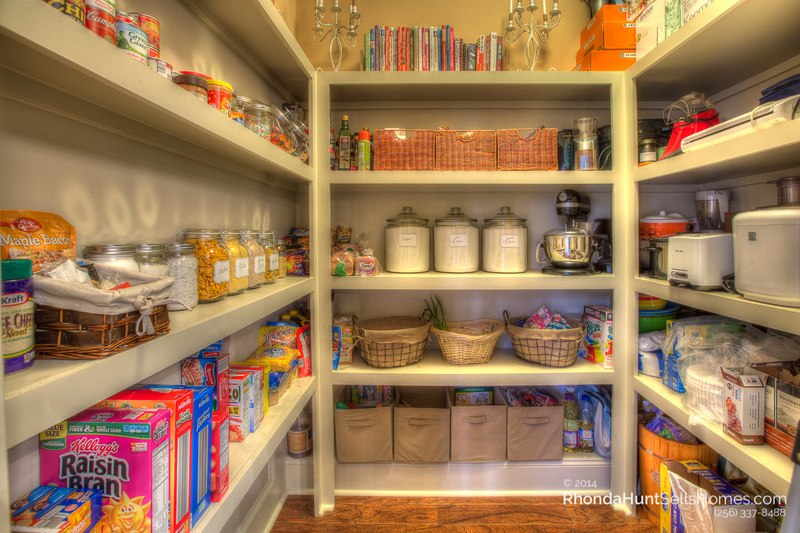 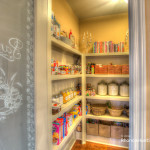 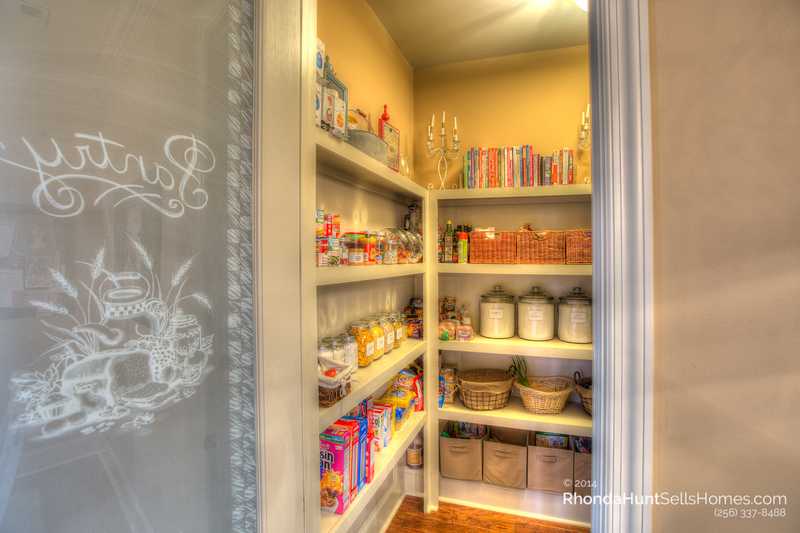 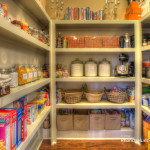 Walk-in pantry with plenty of storage. 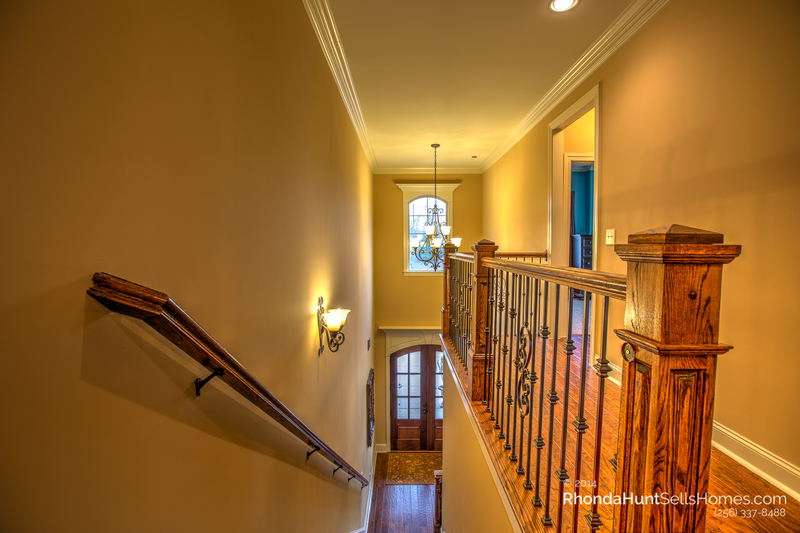 Beautiful wood and iron railing stairway.